At least 14 people were killed and more than 30 injured after a truck driver lost control at expressway toll on Saturday night in China. A report on traffic accidents jointly issued by the safety production and transportation authorities at the end of previous year states that traffic accidents claim 60,000 to 70,000 lives in the country annually, with speeding, driver fatigue and brake failure because of overloading as the three commonest causes, particularly those involving long-distance trucks and buses. In a non-road accident, authorities in central China said a factory that makes heat-insulation material exploded Saturday morning in Lankao county, Henan province, due to a propane leak. 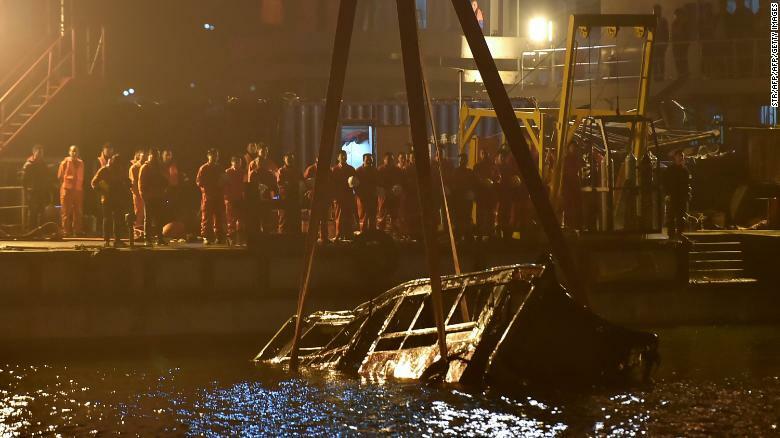 A security footage from a bus that plunged into a river in China on Sunday revealed a fist fight between the driver and a passenger ultimately led to the vehicle's doom. According to him, the vehicle brakes failed.